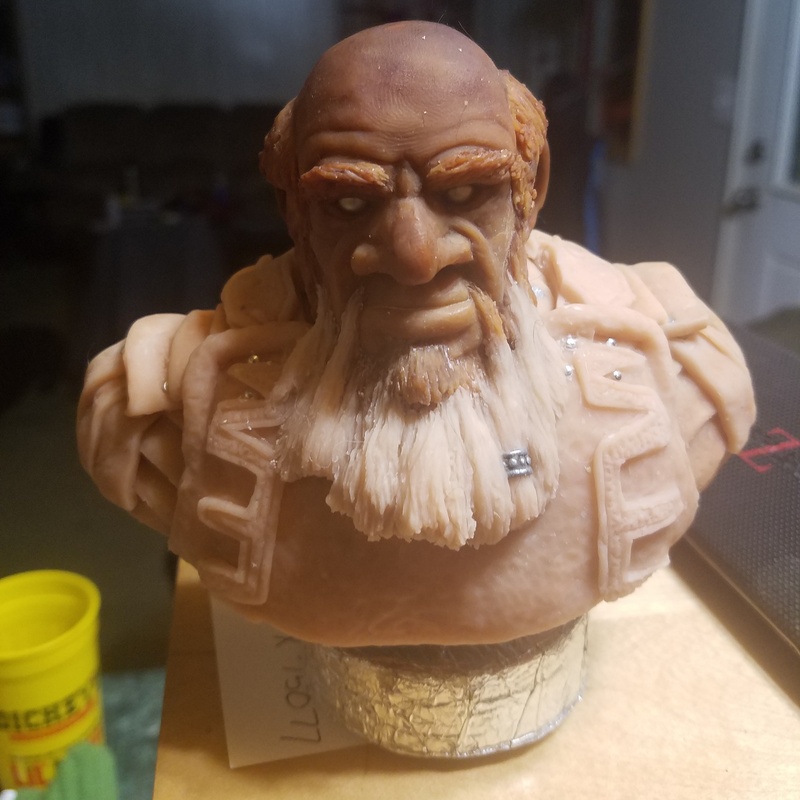 This is my first attempt at ever sculpting ANYTHING. I'm using Super Sculpey and didn't expect things to turn out so good, so I didn't think about posting here until I got to the point of paint. This is my first stopping point. 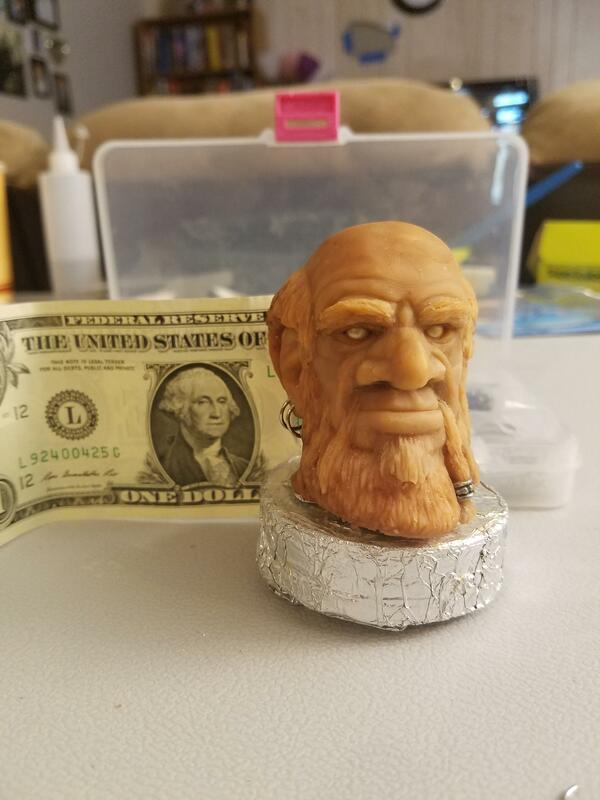 I wanted to make an old man, so I based the bust off this reference image (http://www.cgsociety.org/cgsarchive/...7645_large.jpg). After baking, I moved onto adding ears and eyes. I knew he was going to be a dwarf, at this point, so I made the ears huge. The eyes are glass beads from the local hobby store. And, after baking again (I tend to bake a lot), I added facial hair. This was probably the single most dramatic change, after the eyes, and I was so happy with how it turned out. There's a shot for scale, after baking the beard. He has earrings, here, which didn't end up lasting. After I let him sit for a couple days, I knew I wasn't done with him -- I decided it was time to add a torso, so I could sculpt armor. I initially tried a complete torso, from the waist up, but I couldn't get that to work on the little holder I built, so I accepted defeat and went with a chest and shoulders approach. At this point, I regretted sculpting facial hair. Next time, I'll wait until much later to sculpt that. 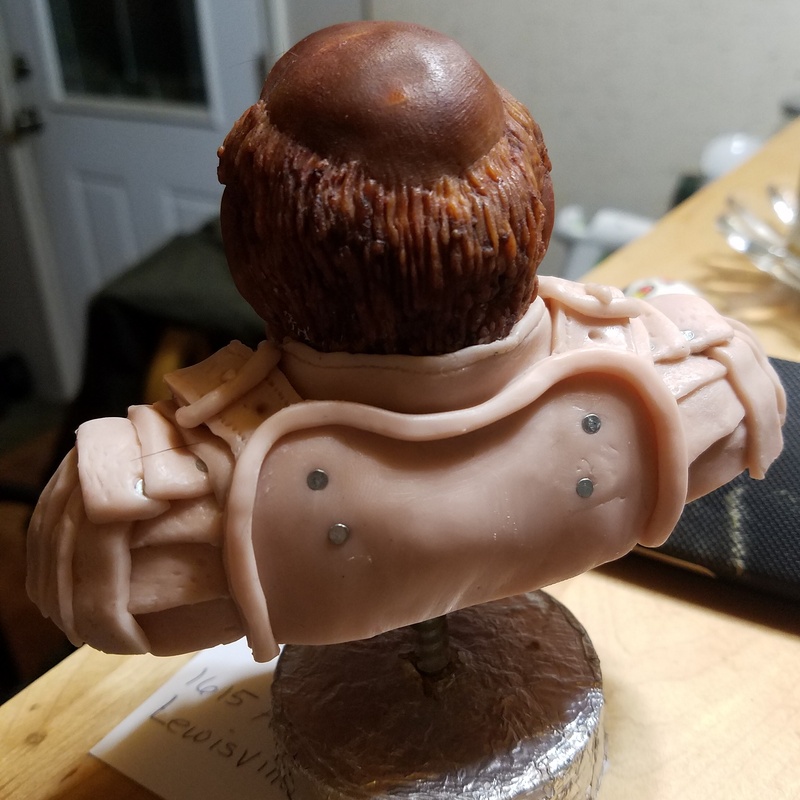 Again, after baking (which is why his head is now brown), I moved onto sculpting the armor. I did this in layers -- some cloth, in the places I thought might be visible (they aren't), then leather, and then the plate. I opted to go for a hammered steel look, as I wasn't willing to spend the time to smooth out the plate, otherwise. I also pin- and nail-heads in place of sculpting rivets. 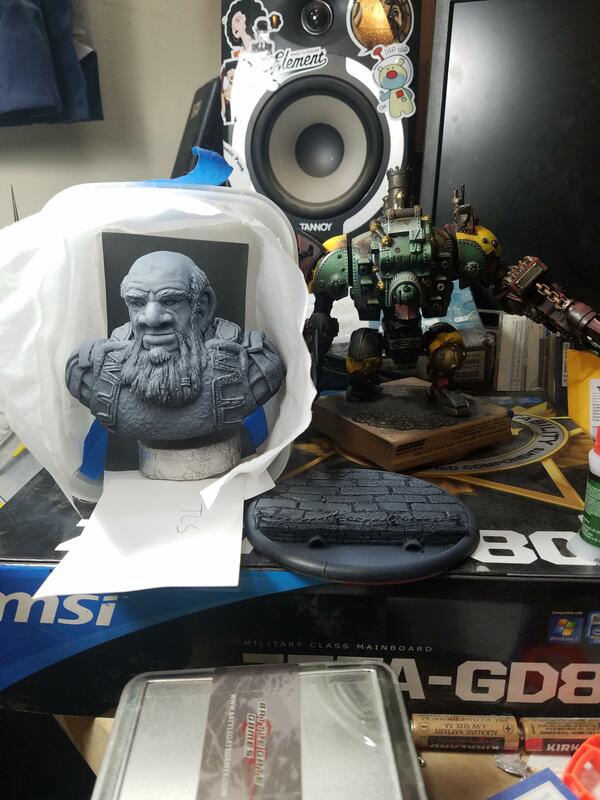 And I sculpted his beard over the armor and went bigger. I intentionally went with a choppy, lopsided beard. And primed! (With a Galleon and a CD-sized base for comparison). Man! I love this, this is the stuff I wish I could do! Keep it up. If I can do it, I feel like anyone can do it. Sculpey doesn't air-dry, so you have unlimited working time. That REALLY helps. That is flat out awesome man! Nailed it for sure. Even more kudos for making a dwarf!